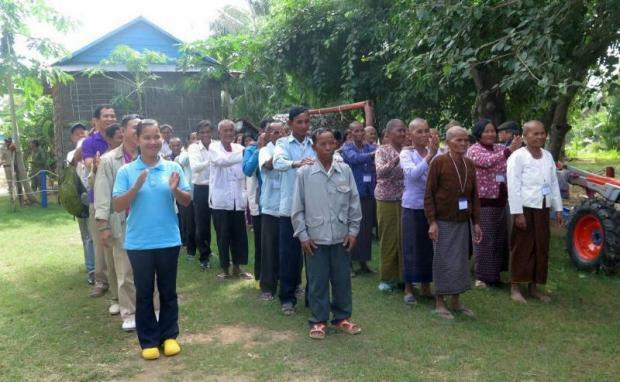 HelpAge Cambodia is a local nongovernmental organization that works with older people to fulfill their potential to lead dignified, active, healthy and secure lives. Today there are 1.3 million people in Cambodia, or 8.4% of the population, and the number is expected to double by 2030, it will reach more than . . . The 3 days training on Age Demands Action (ADA) that organized and facilitated by COSE and HAC. More activity photos please follow the link: https. . .
Community Based Disaster Risks Management (CBDRM) to the Committees of Disaster Management of provincial, district, commune and villages as well as th. . .
More Information please click on the Link: https://www.facebook.com/opa.federation.maungroeussey/posts/198424717602000 (have Video) . . .
More Information please click on the Link: https://www.facebook.com/opa.federation.preshnetpresh/posts/192902388155400​​​​​​ . . .
More Information please click on the Link: https://www.facebook.com/opa.federation.bavel/posts/195445991234944​ (have Video) . . .
More Information please click on the Link: https://www.facebook.com/permalink.php?story_fbid=107359960120301&id=100025388914234​ . . .
More Information please click link on below: https://www.facebook.com/opa.federation.aekphnom/posts/217226279032511​ . . .
More Information please click link on below: https://www.facebook.com/opa.federation.banan/posts/214780015945752 . . .
More information Click on Link below: https://www.facebook.com/permalink.php?story_fbid=213139729442143&id=100022383513691 . . .
More information, please click on the Link: https://www.facebook.com/photo.php?fbid=475069609578166&set=a.33 4862786932183.1073741828.100012253929. . .
Let join with us to celebrate the International Women's Day for 8 March 2018!!! Do you want to know about what women would say for this special da. . .
﻿﻿ On 09 March 2018, the OPA in Chror Neang has received MYR 10,000 (about USD 2,500) donation from Institute of Kimia Malaysia (IKM) as the Corporat. . .
Ms. Rorm Gy is a 58 year old farmer living in Doung Mea village in Aek Phnom District in Battambang province. She and her husband are living on their. . .
Click Link below for​ more information: https://www.voice.global/grantees/reducing-discrimination-vulnerable-elderly/ Source: VOICE . . . I used to be labor worker and earn day by day and irregularly. ​​ Living in Tasda village of Tasda commune in Sampov Loun district, Ms. Ben Soeur, a 50 years old widow told us that she has three sons but . . .
Mr. Chhorn Samet, Leader of Ek Phnom OPA-Fed has raised about the joined statement that maid by OPAs and Federations of 4 province in his speech duri. . . Happy Cambodian National Day and International Day of Older People 1 October 2017, which first celebrates in Bavel district of Battambang province. I. . .
An 81 years-old widow woman whose career as a mobile bike-cake sale told that she has been selling the local cake through a bike for many years. This. 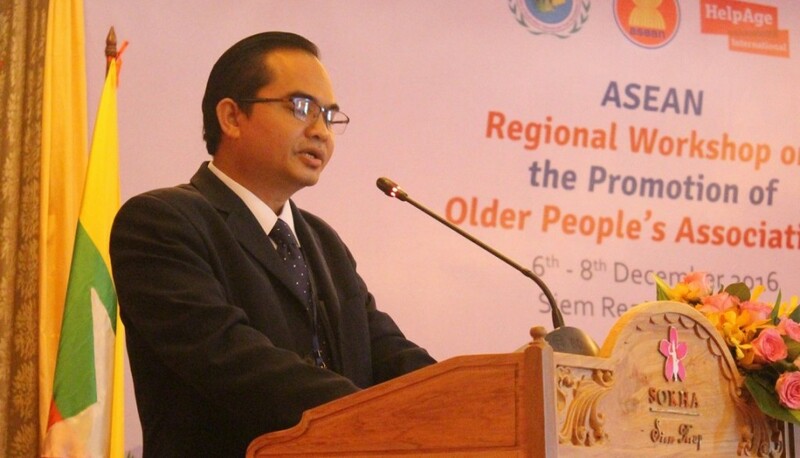 . .
An exclusive interview with Mom Bunthan, the Under Secretary of State for Social Affairs. Cambodia, we have a culture of helping each other,” says . . .
From old people's associations in Cambodia to baby bonuses in Singapore, Asian societies are tackling the issues arising from population ageing. No. . . Giving Campaign in 30 Days! Giving Campaign in 30 Days! Join with us in this campaign and contribute your living materials, clothes and other usable items to the poor older peo. . . The OPA Federations of Preah Net Preah and Bosbov received the appreciation letter for the intervention efforts in promoting the well-being of older people from the provincial governor of Banteay Meanchey in the occasion of National and International Day of Older People which celebrated in Preah Net Preah district on 21 October 2016. As of 2013, the labour force participation rate for older people aged 60-64 is 48.6% and for older people aged over 65 is 21% globally. HelpAge Cambodia is seeking a qualified Cambodian national for the position of Project Intern/Volunteer (2 persons) based in Battambang province. Cli. . . Older people are capable of being development actors. Watch the video and explore how much older people can do with their creativity and energy both . . .
HelpAge Cambodia had cooperated with CCC and Phare Ponleu Selpak in organizing of the Regional Learning Forum on “Development Trend and New Paradigm . . .
For more information click link below: http://www.rfa.org/khmer/news/social-economy/olders-in-Ek-Phnom-district-requested-to-authorities-to-build-can. . .
For more information click link below: http://km.rfi.fr/cambodia/old-people-24-06-2016?ns_campaign=reseaux_sociaux&ns_source=FB&ns_mchannel=social&ns. . . In the morning of 22 June 2016, The Chief of Forestry Administration of Battmbang province gave 550 small trees to OPA Federations in Aek Phnom and M. . .
As a way of celebrating his own wedding, a very generous professor from the Royal University of Phnom Penh has donated 300 dollar to HelpAge Cambodia. . . Global Status Report on Violence Prevention 2014! . . .
Do you know today is "World Elder Abuse Awareness day" ? Please join with us in this campaigning event to eliminate violence and abuse against older. . .
Heik Sum, 72, has three daughters, five sons and one granddaughter. None of his children are able to support their father and he is the sole carer of . . .
Health Camps are a one-day healthcare outreach service for Older People’s Associations (OPA). Health camps provide both a basic health checkup and edu. . . Au Vorn, 56, is a member of the Chak Touch Village Older People’s Association (OPA) in northwest Cambodia. Clean water is a concern for most villages . . .
Dok Sek, 58, lives in Banteay Meanchey in the north west of Cambodia. She generates income of around US$10 per month by farming near her house. She is. . .